“And the Anzac legends didn't mention mud and blood and tears/ and the stories that my father told me never seemed quite real/ I caught some pieces in my back that I didn't even feel/ God help me I was only nineteen/ and can you tell me, doctor, why I still can't get to sleep? / and why the Channel Seven chopper chills me to my feet? / and what's this rash that comes and goes/ can you tell me what it means?/ God help me, I was only nineteen.” - Only Nineteen - John Schumann. Altruistic Adelaide country-folk band Redgum has donated proceeds from its l985 Live In Amsterdam CD to the Australian Road Crew Association. Redgum , renowned for support of military veterans and other major causes, is the first band to step into the welfare breech. Live In Amsterdam is the debut disc on Black Box Records for ARCA - a not for profit organisation dedicated to the welfare of live production crew in Australia. ARCA provides financial and counselling assistance to road managers who experienced a high suicide rate and health issues after their employment ceased. Roadies amassed a treasure trove of live recordings spanning more than 40 years and made ARCA their custodian. Acts including Australian Crawl, The Church, Cold Chisel, Crowded House, Men At Work, Mental As Anything, Midnight Oil, The Models and Paul Kelly plan to assist the crews who helped them on their journey. ARCA founder Ian Peel said, “These live recordings are culturally important especially of the pub rock era of the ‘70s and ‘80s. “They remind the music industry that roadies are the backbone of this industry and without them, there'd be no show, no band. Peel created the tapes initiative five years ago after he heard a road crew's tape of a Jo Jo Zep & The Falcons show in the late ‘70s and was struck by its high sound quality. A call went out to the crew fraternity, and Peel now has 2000 cassettes. The Roadies Fund was set up via a partnership with music industry benevolent society, Support Act Ltd. 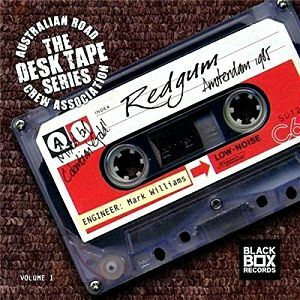 The Redgum live disc and cassette - recorded at Melkweg, Amsterdam , and released on November 10 - is the first in this series. “ Got a ride out to Kuta in the back of a truck/ cost me twenty dollars and it wasn't worth a buck/ hustled to a losmen down in Poppy's Lane/ by a Javanese guy in a tropical rainstorm/ lock up your daughters/ I've been to Bali too.” - I've Been To Bali Too - John Schumann. Blue Mountains singer-songwriter Allan Caswell also recorded a tribute song to roadies - The Boys In Black - on 2017 duet disc Carpenter Caswell with Sydney songwriter-producer and video director Michael Carpenter. The Boys In Black features April Family singer Kylie Whitney on backing vocals. Medlow Bath based singer Caswell, who turns 65 in March, released his 19th album - 50 Years In Oz - in 2016. ARCA co-founder Adrian Anderson - stage manager at the 1970s Sunbury Pop Festivals - expanded roadie benefits at the 40th anniversary of the festival in 2015. The support network is trying to link former band crew workers who worked in environments that took a toll on their bodies in an industry where there was no superannuation, insurance or health cover. “You form amazing associations with people you worked with under high-pressure environments, which you don't forget,” Anderson said. “In 2012, we had a benefit at the St Kilda Bowls Club , which served as something like an Anzac Day for us. “Roadies don't get royalties - many of them travel the world, are away from their families, but when the band breaks up or stops touring, they're forgotten. The Redgum Amsterdam disc features major hits I Was Only 19 and I've Been To Bali Too , Diamantina Drover , Poor Ned, ASIO and Spirit Of The Land . 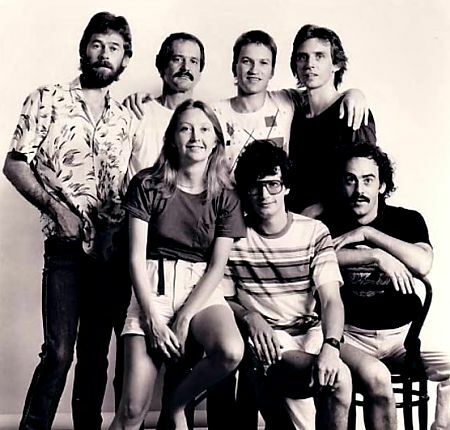 Redgum released six studio albums, a 1983 live disc and four compilations after forming in Adelaide in 1975. 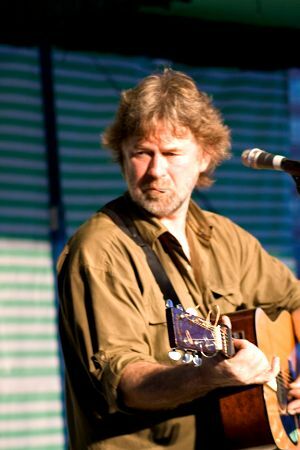 Lead singer and former teacher John Schuman released two solo albums and stood for Federal parliament as an independent in 1998. He also released two discs with Redgum guitarist - Hugh McDonald who died at 62 of cancer in 2016 - as the Vagabond Crew in 2005 and 2008.